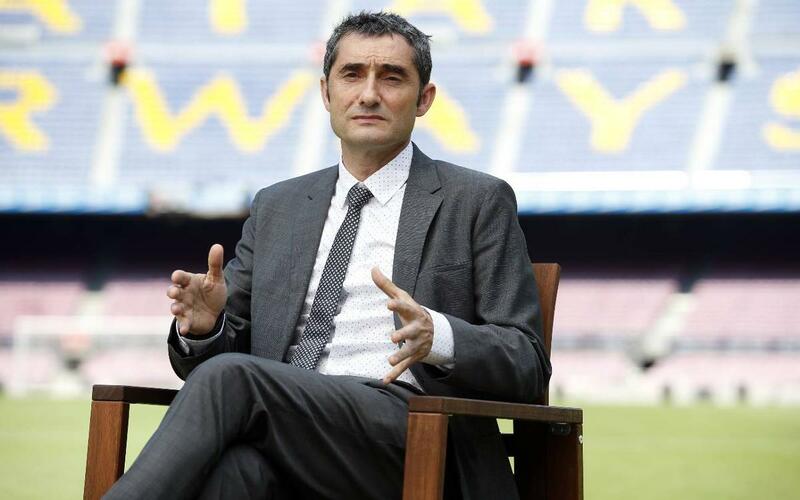 The new coach highlights the importance of this new stage in his career and admits "it's a challenge I am excited about"
The new FC Barcelona coach Ernesto Valverde opens up in his very first interview as the blaugrana coach and touches on various topics surrounding the figure of Barça’s new boss. The Spanish manager speaks to Barça TV about his initial impressions of the Club, the way he sees football and the identity his teams have. Furthermore, Valverde also looks back at his time as a player at Barça and the people who have most influenced him during his career. Below, we look at some of the highlights from the interview. “In this instance, José Maria Amorrortu has been vital because he was the one who quickly said to me, ‘You have to be a coach.’ He signed me for the youth team at Athletic and there I started to develop.